This Firebelly Firepod wood burning stove is a real statement piece. The stove gives you the best view of the flames from its expansive glass viewing window. It’s unique ‘Air Shield’ system helps clean the glass. Also it has an impressive heating performance with a output of up to 10kW and a full range of designer finishes. 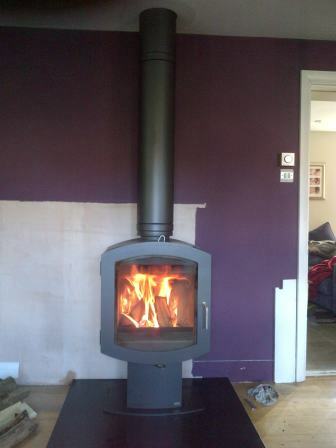 This installation took only two days to complete and included fitting a Poujoulat twin wall flue system. 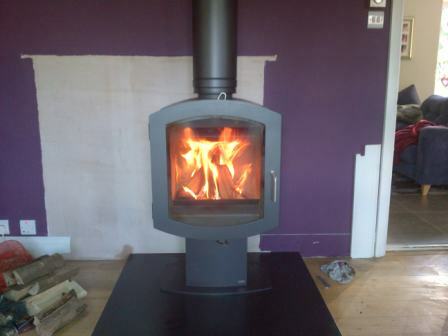 Finally, view another Firebelly Stove installation by The Billington Partnership.